Well if wind and rain are your thing October and November have provided you a dream weather event. There has been some nice weather; however it happens to coincide normally with a work day leaving the weekends so so. The Cup Day weekend did give a beautiful Saturday for flying and also Tuesday was OK too to watch some Nags run around a track. We all feel for any students trying to do a NAV currently, however your weather report reading will be terrific! 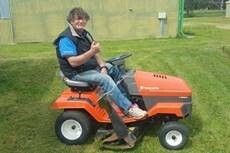 The Club purchased a new (USED) ride on mower for use by club members. Please make sure that when you use the mower you return it in the same condition, and bring fuel with you. If you need help to use it Club Members are happy to help, just ask. There is also a self-propelled slasher for areas that are hard to reach and for those who like to get some exercise. The 2016 Wings Night celebrated the achievements of the students at Yarra Valley Flight Training and also the achievements of Coldstream Flyers. A great night with over 80 people attending. It was fantastic to meet and chat to the students about their training. The excitement and memories of first solo’s, PPL nav’s etc never leaves a pilot, they are great memories and achievements for all. 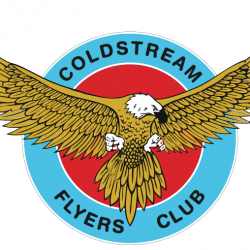 A big thank you to Colin and the committee at Coldstream Flyers for all the organising that went into the night and the fantastic guest speaker Scott Tabener and his wife Emma Taberner . His personal journey as a pilot was very interesting and a great motivation to all. Coldstream Flyers participated in the SAAA/Tyabb Toy Run for charity. We had a fantastic line up of planes that flew into Tyabb and it was great to catchup with fairer halves of the pilots who came along. 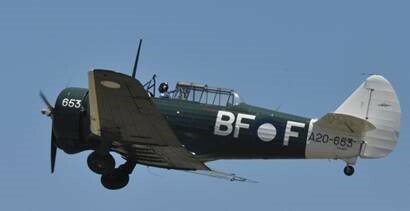 The Corsair started up and did a fly by that was caught on phones and posted Face Book, it never fails to bring a smile to faces. 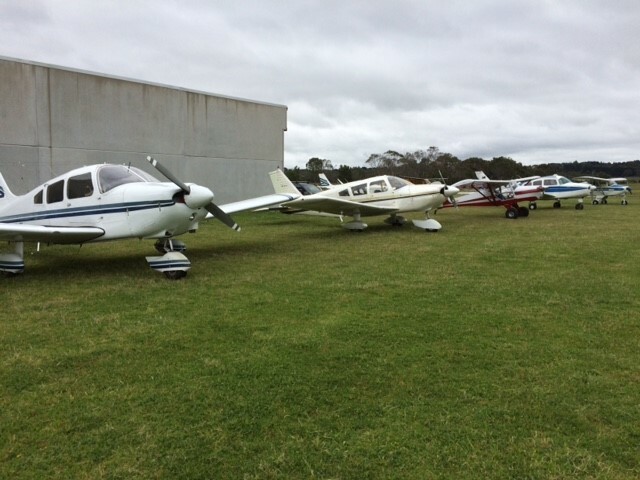 Tyabb have a wonderful collection of planes on their field and the Aero Club are always very welcoming to visitors. A big thanks to all the pilots who participated and donated toys for this event. Every Friday Night – Social Pizza Night at the Club Rooms from 6.00pm. 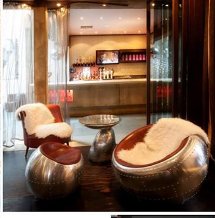 PFE – The Station Hotel (Footscray)for dinner and then a visit to CocoLea Showroom of Aviation Inspired Decorations and Furniture. CocoLea will open their showroom for our visit. So RSVP by the 11th of Dec to Leanne on Facebook or the committee email. This is the last Temora show until February 2017. 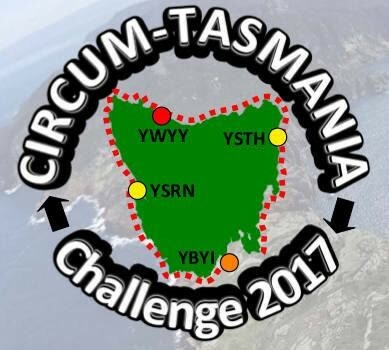 Wynyard Aero Club invites you to fly to beautiful Tasmania for the inaugural CIRCUM‐TASMANIA CHALLENGE on 25-26 February 2017. Fly the CHALLENGE over a prescribed 2‐day coastal course starting and finishing at Wynyard with an overnight stay at Adventure Bay on amazing Bruny Island. The set route, comprising 4 equi‐distant legs with lunch stops at St Helens on day 1 and Strahan on day 2, covers 685nm of the sensational Tasmanian coastline. The provided OzRunways flight plan requires competing aircraft to overfly numerous coastal features with actual flight paths recorded by supplied GPS trackers. Before departure, competitors will be required to estimate their flight time for each leg and then score penalties for arriving early or late. Missing waypoints or undertaking time‐wasting orbits will also be penalised. A handsome trophy awaits the winning aircraft. Entry fees are yet to be set, but will include all meals, bus transfers and cabin/caravan accommodation on Bruny Island. Competitors must cover their own fuel costs and landing fees at YWYY and YSRN.